Women living in and around Waipahu, HI are welcome to visit Ka Wai Ola Family Medical Clinic for their annual well woman exam. As a family practitioner, Dr. James Okamoto offers comprehensive care that assesses overall health, provides gynecological exams, and screens for common concerns like osteoporosis. Why is a yearly well woman exam important? Dr. Okamoto is dedicated to helping women prevent health problems – a goal that’s only accomplished when you get a yearly well woman examination. Regular exams catch any problems at an early stage, which gives you the chance to start treatment and prevent it from progressing to a serious threat to your health. During a well woman exam, you have the opportunity to ask any questions, whether they’re related to a physical problem, diet and weight management, reducing stress, or an unhealthy habit like cigarette smoking. 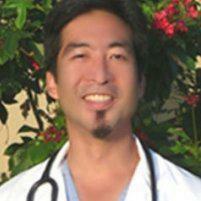 Dr. Okamoto will take the time to thoroughly answer your questions and offer guidance. What can you expect from a well woman exam? Like any regular check-up, staff at Ka Wai Ola Family Medical Clinic will update your medical and family history. You can expect us to ask about eating habits, physical activity, and the use of alcohol, tobacco, and other drugs. We may also discuss your sexual health and relationships. This is an excellent opportunity to talk about mental health concerns, too. If you’ve felt depressed, anxious, or overly stressed, Dr. Okamoto can discuss ways to treat those problems to restore a stable and happy outlook. What services will you receive at Ka Wai Ola Family Medical Clinic? Please don’t put-off your yearly well woman exam. It’s the best way to stay in peak health and prevent chronic disease, so call Ka Wai Ola Family Medical Clinic to schedule it.